Praharsh Highland is a residential and commercial development of D R Infrastructure. Located in South Bopal, SG Highway and Surroundings, it is built across a wide area. These luxurious 3BHK housing units and shops makes it a dream home to everyone. These apartments are beautifully crafted with modern amenities and is approved by Gujarat RERA. Where is Praharsh Highland located? South Bopal, a prime residential locality for house seekers in SG Highway & Surroundings. What is available flat size in Praharsh Highland? 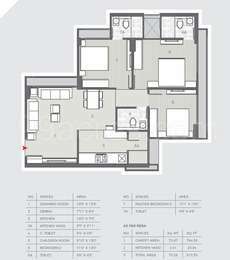 Flat sizes in the project range from 774.0 sqft to 812.0 sqft. What is the 3 bedroom size in Praharsh Highland? 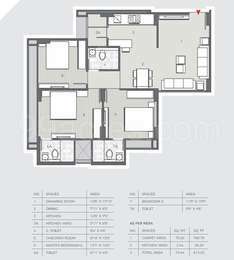 The area of 3BHK units in the project varies from 774.0 sqft to 812.0 sqft. What is the total area of Praharsh Highland?The project spans across 1.47 Acres. What is price of 3 bhk in Praharsh Highland? 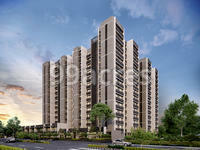 3 BHK apartments in the project are available at a price of Rs. 4394873.82 to Rs. 4410080.62. What is the average price in Praharsh Highland? Prices of flats in the project start from Rs. 4394873.82 and go up to Rs. 4410080.62.